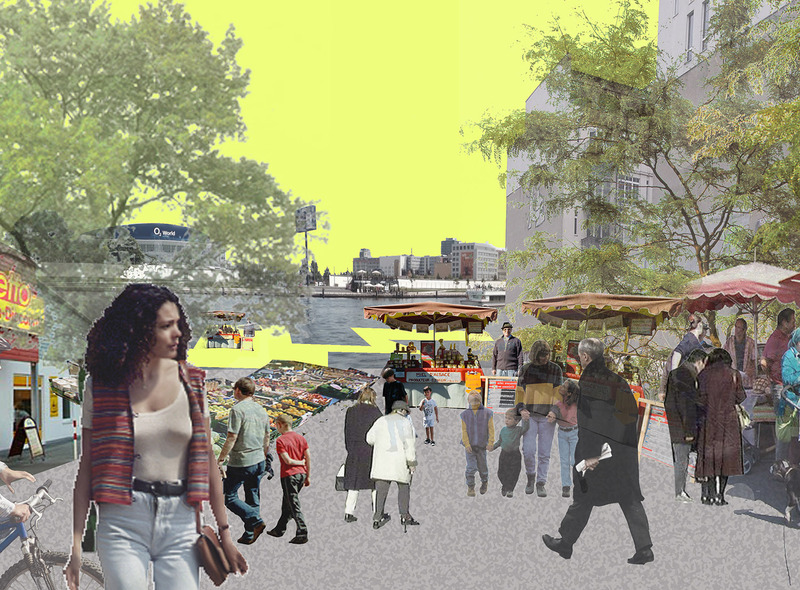 “Stadtspree Kiezspree” is a cooperative project of the Urban Research and Design Laboratory (U-Lab) of the Berlin Institute of Technology and various partners, students and stakeholders. 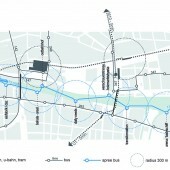 It focuses on an inner-city waterfront area of the Spree river and its surroundings. 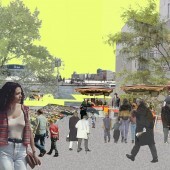 Several groups of students of architecture and urban planning disciplines developed concepts for the area both academically as well as with involving local stakeholders and the public. 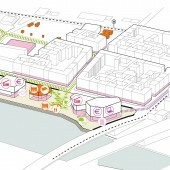 Among the main concerns were the improvement of mobility and public transport around and on the river, integrating and connecting neighbouring districts, citizen participation, transformation of mostly industrial or derelict areas, as well as improving the access to the waterfront. It was an integral idea of the project to maintain the area’s cultural, social and architectural diversity and use it as a catalyst for its future development. 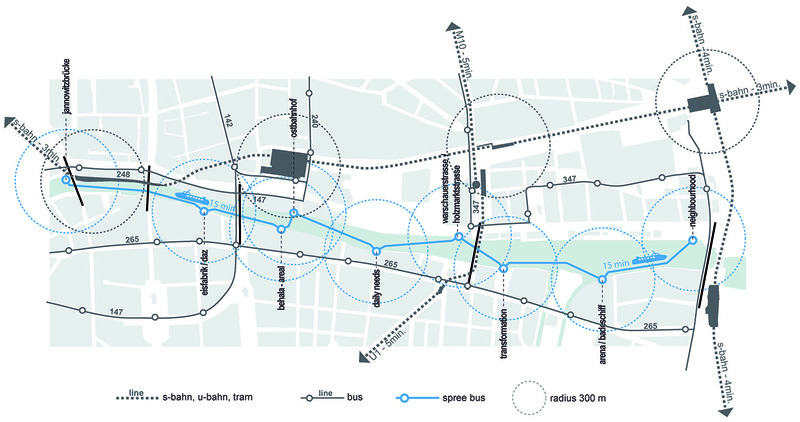 “Stadtspree Kiezspree” was developed from 2010 to 2011 via scientific research as well as workshops, local activities, blogs and dialogue formats between all involved parties and communities. It is documented in a book published in 2013 as well as on the U-Lab’s blog. The U-Lab was initiated in 2010 at the Technical University of Berlin. 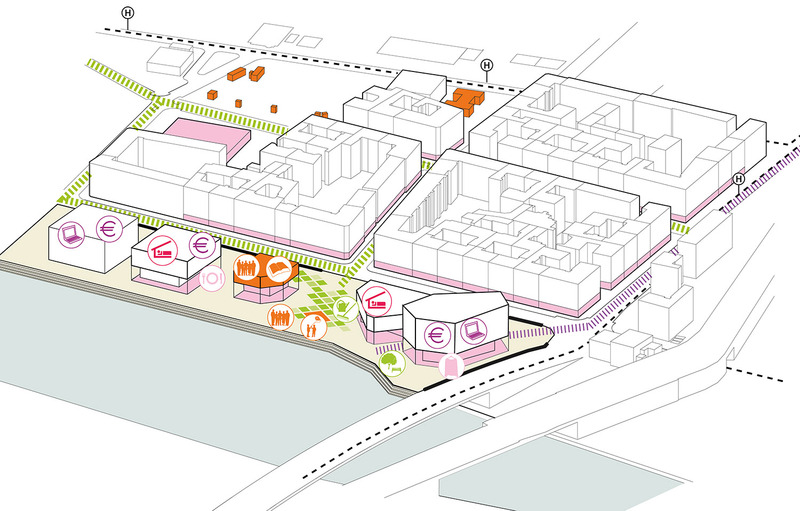 Based on the model of dialogue formats it encourages exchanges between teaching, research and practice, responding to demands of interdisciplinary project work as well as case study-based and activity-oriented functioning in the education of future city planners, urban designers and architects. Students: Students of Architecture, Urban Planning, Urban Design and related degree programmes: Uli Arno, Felix Bentlin, Daniel Cibis, Ruijie Du, Carlotta Formenti, Myrto Kyrli Florou, Anna Galda, Johannes Hipp, Shan Hu, Marcus Jeutner, Angèle Launay, Janek Lorenzen, Peter Mackensen, Cécile Oberkampf de Dabrun, Ulrich Pappenberger, Philipp Perick, Johannes Rentsch, Federico Rota, Pavlos Ventouris, Nils Stefan Rogel Caruona, Richuan Chen, Matthew Collett, Filippo Corato, Chengjie Ding, Paulo Doroch, Maria Garcia Barrera, Yue Guo, Sarah Abdul Hafiz, Robert Huber, Ran Jiang, Simon Johnson, Sybille Jünger, Anika Kloss, Moyan Liu, Xianying Lu, Andrew Maszluch, Alejandro Montoya Molina, Nikolas Neubert, Federico Quijano, Carlos Alcaraz Quintanilla, Sicheng Ren, Chen Shan, Ingrid Rojas Torrico, Dailin Wang, Haoren Wang, Luojia Wang, Peter Winter, Ben Wirthgen, Yuan Xie. Research Question: What are the alternative models to current urban waterfront regeneration projects that respond to changing ecological, economic, social and political contexts and what forms might they take?